Welcome to The Village in Blue Mountain Beach, where you’ll find all the comforts of home coupled with the serenity of a beach vacation. 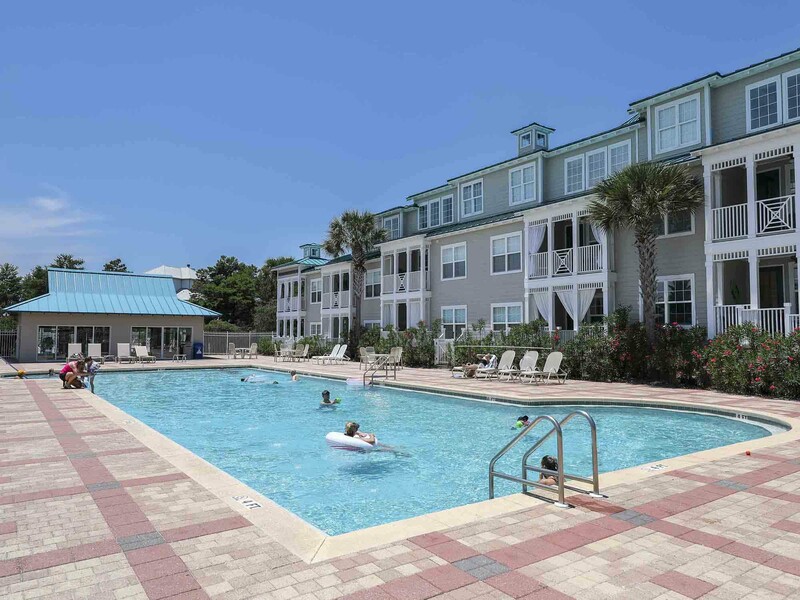 These 30A vacation condos are beautifully decorated and fully equipped for your stay. Relax on your private patio and watch the sunrise with a morning cup of coffee. In addition, two community parking spots are offered during your stay. Also, beach access can be found near the popular restaurant Goatfeathers Seafood. Or, stay nearby and cool off in the private pool and lounge on the spacious deck and work on your tan. Keeping up with your fitness regime has never been easier at the onsite fitness facility. Here, you’ll find an array of free weights along with weight and cardio machines. Then, after a long day playing under the sun come back to the community barbecue grills and show off your grill master skills. All you need is some charcoal and you’ll be coking in no time. No matter what you choose to do, the options are endless at The Village! Of course, experiencing Blue Mountain Beach and the rest of 30A during your vacation is a must. Blue Mountain Beach is the tallest point on the Gulf of Mexico and offers stunning views of the sparkling turquoise waters. Home to a wide variety of eclectic dining and locally-owned shops, Blue Mountain Beach is any beach lover’s dream. Check out our Gulf Coast Guide for more activities in 30A. Stay at The Village 511 for all the delights of home while enjoying a relaxing beach vacation. This three bedroom 30A vacation condo comes equipped with stainless steel appliances and resort-style amenities.